To perk up your smile, all you need to do is pick up the phone and make an appointment with Hereford Dental Health. We whiten teeth for patients in the Monkton area and surrounding communities. We can help you lighten your teeth through a number of solutions that range in cost. The least costly teeth whitening treatments are those that you can do yourself at home. The quickest and easiest are the professional teeth bleaching treatments that we can perform here in our Monkton office. 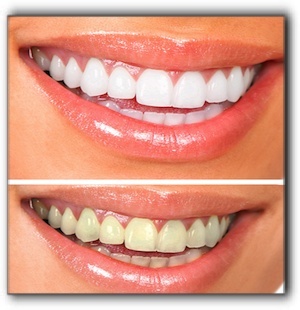 If you are interested in a brighter smile, give us a call at 443-672-2548 to make a teeth whitening appointment. The hardest part will be dialing the phone, and in no time we’ll have you smiling bright. Perhaps your teeth have additional issues besides dull color. We can help you with all types of problems including chipped teeth, crooked teeth, uneven gumline, and even missing teeth. We offer cosmetic dentistry, restorative dentistry, Invisalign invisible braces, and sleep apnea treatment. Why Do Monkton Dentists Like Potatoes?